Inspector NottyK Title Track Lyrics The song is sung by Nakash Aziz featuring: Jeet Music composed by Suddho Roy Inspector NottyK Title Song Lyrics written by Raja Chanda. 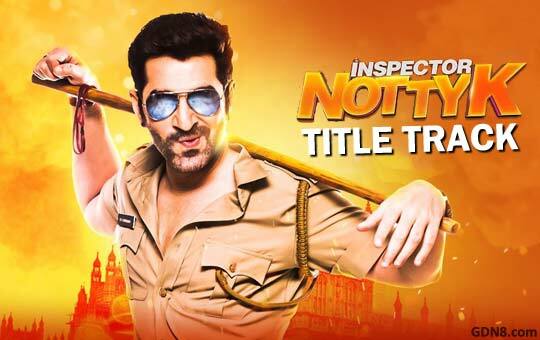 Song: Inspector NottyK Title Track. News about Inspector NottyK Title Track Lyrics: Great news for all "Jeet" lovers, He is come with his first brand new and fresh Bengali title track/song. Jeet Acting Main Lead Role In This Movie. Producers: Jeet, Nispal Singh, Gopal Madnani, Amit Jumrani and Joydeep Roy Chowdhury. Screenplay & Dialogue: Anshuman Pratyush & Pramit.